Artist’s rendering of Timation 3 navigation satellite orbiting in space. 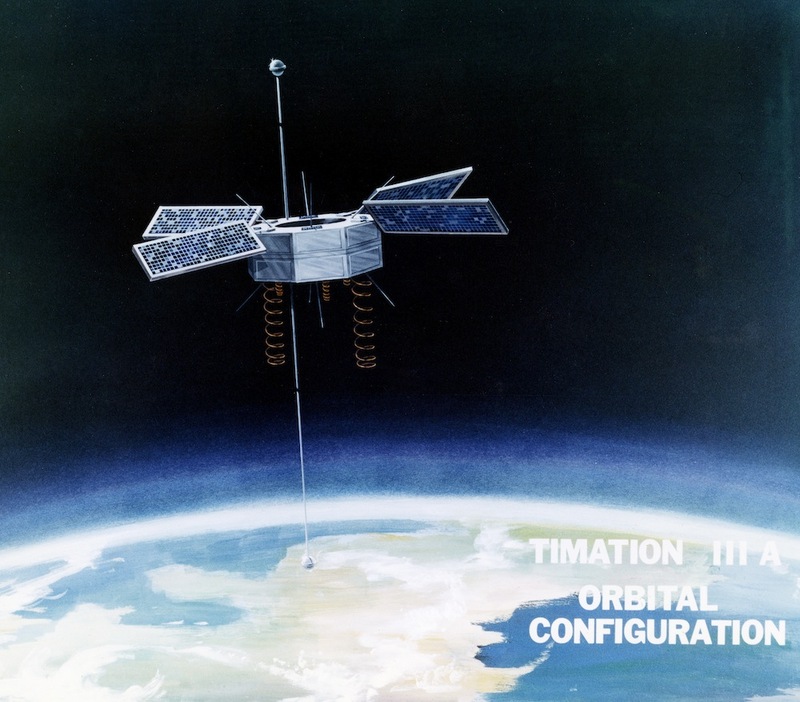 The TIMATION satellite program was one of several projects that led to the birth of the global positioning system. An artist’s rendering of Timation 3 navigation satellite orbiting in space.